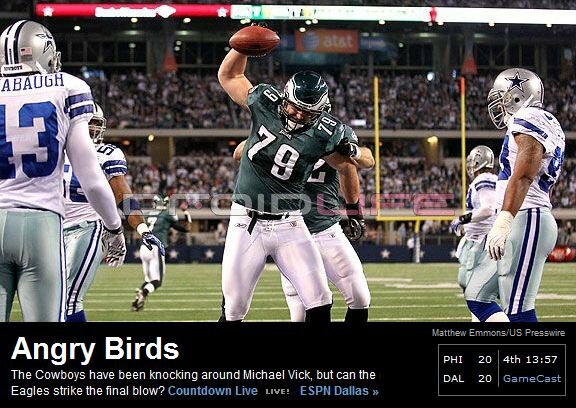 One of the headline writers over at ESPN is most definitely an Angry Birds fan. The headline above was captured during Sunday Night Football just before my boy, DeSean Jackson ripped off a 91-yarder and helped propel the Eagles to another win. The point though, is obviously how big this silly game of sling-shotting birds has become. Not only did this headline appear, but the announcers during yesterday’s Blazers/Spurs game also made mention of it. It really has taken over the entire world.